Hey Coffeeholics, Creative Writers, and aspiring playwrights! Get ready to bring your story to the stage! 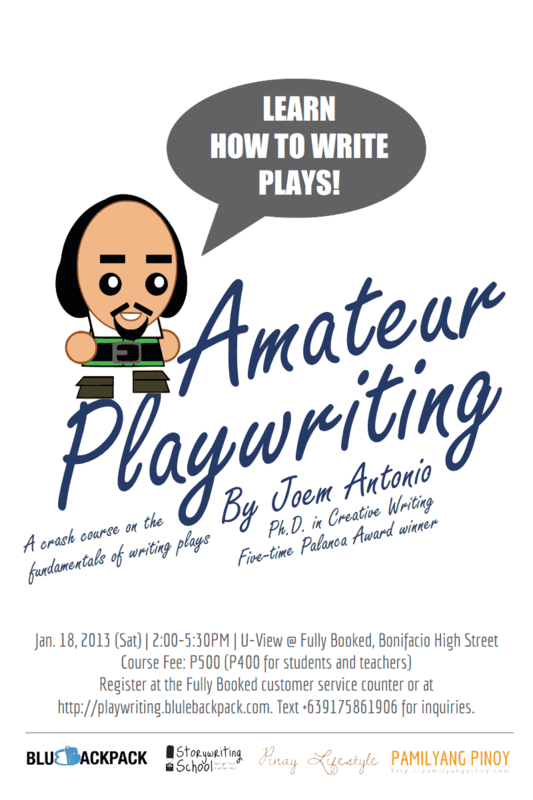 Learn how to write plays from five-time Palanca Award-winning writer, Dr. Joem Antonio, in Amateur Playwriting. This is a three-hour workshop that will be held on January 18, 2:00 PM at U-View, Fully Booked, Bonifacio High Street.